Apple Building Systems knows that no apple falls far from the tree when it comes to the towns of Central Alberta. Red Deer and Sylvan Lake connect them all, and as the region’s commercial builder, we have deep insight into each and every town in the fold. 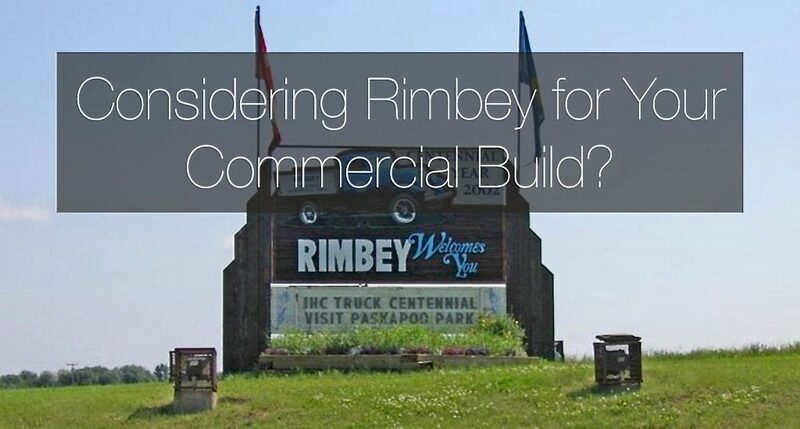 Our recent article featuring other lucrative towns for commercial expansion (assuming you’ve already set up shop in Sylvan Lake / Red Deer first) included Rimbey. Today, we zone in on this Blindman River valley town for those who envision commercial expansion within. Rimbey is a thriving agriculture and oil and gas town. While the economy of the entire province hit a rough patch in the past couple of years, Rimbey is primed for growth. For starters, agriculture has been one of the saving graces for Alberta amidst the economic downturn. But something else is stirring in the oil and gas town’s favour. We called it a couple of months ago, when we noted (regardless of personal opinion) that the recent shift in the political landscape across the border may be good for Alberta construction. Well, if the Alberta Premier’s optimism after the recent push for Keystone XL is any indicator, oil and gas will be back in business. Rimbey, in theory, will be a beneficiary. Household income is there to support your commercial business. When you look at the income levels over $100,000/year, you can see that for a town its size (nearing 2,500) you have a proportionately high populous that can afford your offering, even if your product/service tilts towards the upscale end of the scale. Income projections pre-Keystone XL exhibit a steady climb, and in light of recent news you can expect this projection to get a lot steeper, in the right direction. 74% of the population are homeowners, and the average discretionary income is significantly over $40,000/year, indicating room in their pocketbook to spend on your product/service. One of the most unique characteristics of Rimbey’s population is the balance of age groups. In many Central Alberta towns, it is not uncommon to see clear age-group “leaders”. However, in Rimbey, the dispersion looks as if it was created on purpose to serve the needs of diverse commercial businesses. One of the leading segments of 0-4 (years) is neck in neck with 20-34, 35-59, and 60-64. Whether you’re targeting future generations, current young professionals, or new retirees and baby boomers, Rimbey has balanced the scales to your benefit. Recognizing the potential of this Central Alberta town is just the first step. There are building and development permit applications to submit and unique bylaws and policies to consider. As your chosen commercial general contractor, Apple Building Systems Inc is here to guide you through it all. Contact us to get started on your potential expansion into Rimbey Alberta (and beyond).